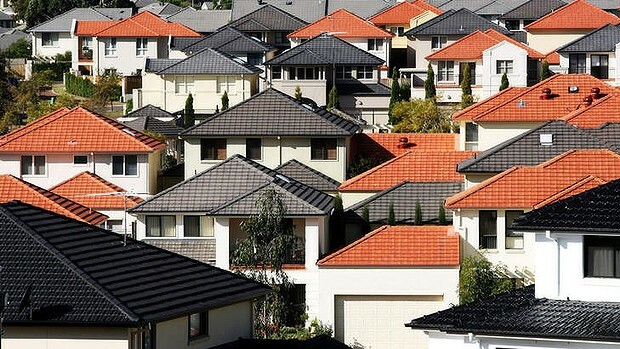 Home prices have surged in March in a sign that the boom in the property market is continuing after a pause in February, just days after the Reserve Bank warned borrowers and banks against property speculation. Prices surged by 2.3 per cent last month over Australia’s eight capital cities to take the total growth for the first quarter to 3.5 per cent, new figures released by RP Data and Rismark today showed. “Half of all Australia’s capital cities are now posting record-high dwelling values, with Sydney’s housing market showing the most substantial increase beyond its previous market high,” RP Data research director Tim Lawless said. 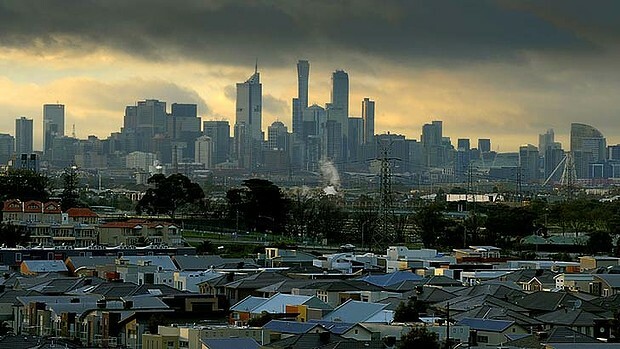 Melbourne recorded the strongest growth, with prices soaring by 5.4 per cent in the first three months of this year. Sydney grew by 4.4 per cent for the quarter while Hobart prices strengthened by 4.7 per cent. Mr Lawless said a few factors were driving up Melbourne prices, including the popularity of the city’s properties with investors and stock levels remaining “relatively slim,” except in Southbank and Docklands. Mr Lawless said while the Melbourne market has showed a lot of momentum and consistently high capital gains, rental yields were “now extraordinarily low”, with houses posting a gross return of just 3.3 per cent. Brisbane rose by 1.5 per cent, Adelaide by 1.2 per cent and Darwin by 2.8 per cent and Canberra by 2 per cent. Perth bucked the trend, with prices falling by 0.6 per cent since the start of this year. “Based on today’s RP Data Rismark results, dwelling values have risen by a cumulative 15.8 per cent since the growth cycle commenced in June 2012,” RP Data said in a statement. The strengthening property market amid the record-low level of interest rates has led the Reserve Bank of Australia to step up its rhetoric on its concerns about rising prices. Some commentators have said that the sharp rise in prices could lead to a housing bubble. The RBA governor Glenn Stevens as well as other central bank officials have warned borrowers that home prices could rise as well as fall. The surge in investors, include foreign buyers, has also priced first-home buyers out of the property market. The proportion of first-home buyers remained depressed but edged up slightly to 13.2 per cent in January, above November’s record low of 12.3 per cent, the Australian Bureau of Statistics reported last month. Rismark’s managing director, Ben Skilbeck, said March was a traditionally strong month for home prices, and that the increases were not surprising given the high auction clearance rates and the lack of any major economic changes. Mr Lawless added that the surge in prices was caused by Melbourne and Sydney. “That growth is very much confined to two capital cities. It’s really Sydney and Melbourne that’s driving that very high level of growth. Every other capital city is showing a more measured rate of capital gain,” he said. UBS economist George Tharenou said while the strengthening trend in the housing market “may well be making the RBA a bit ‘nervous’ about how long it can sustain record low rates”, the central bank would be limited in tightening monetary policy as that could push the Australian dollar higher and stifle growth in other non-mining sectors of the economy. The Reserve Bank is widely expected to keep the cash rate on hold at a record low of 2.5 per cent today, after easing rates by 225 points since November 2011. The growth in the housing market has in part been fuelled by the low interest-rate environment. Mr Lawless said he would be “very surprised” if the current rate of growth in house prices is sustained over the medium to long-term. “I think there are some natural barriers to prevent the housing market from continuing to see this pace of growth. The first is simply affordability. Sydney’s median house price is now $713,000. So inherently you have that natural price barrier that will start to slow the market down,” Mr Lawless said. “And I think the second factor that will start to slow the market down is the fact that investors will simply be turned off the market place that’s yielding so low.